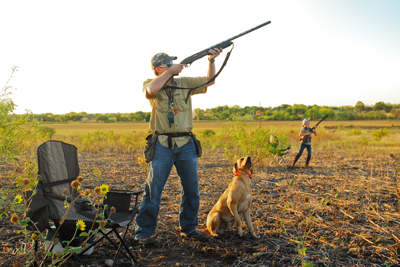 The best hunters use different strategies for different types of game, terrain and weather. 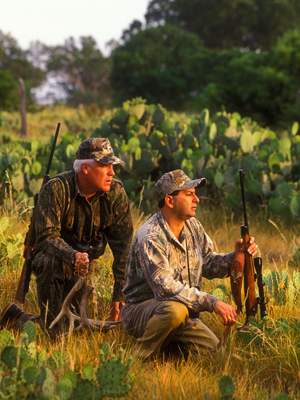 Experienced hunters are a great resource for hunting tips. 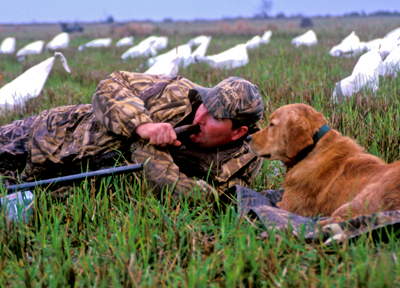 There are also numerous books and websites devoted to various hunting styles and techniques. Hunting on foot can be challenging for several reasons. First, as in all hunting, you should be physically fit. Next you must pay attention to wind direction and which way it carries your scent. The amount of noise you make as you move can spook game. The position of the sun, especially when it is low can be a factor. Each step reveals new sight angles and fields of vision. Always carry a good pair of binoculars. 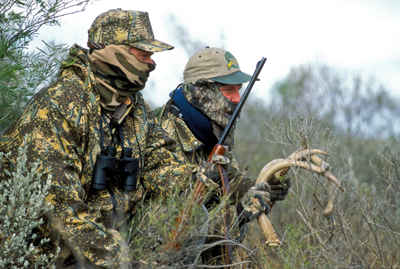 Still Hunting is a technique of slowly moving through an area in search of game. Be as quiet as possible with your footsteps. Avoid the sound of branches scratching across clothing. Stop frequently to “read” the habitat, taking your time to observe all you can. Use binoculars to spot and identify game. Keep the wind in your face so that game ahead of you is not spooked by your scent. As you advance, check behind you since many times game will circle downwind if they are suspicious. 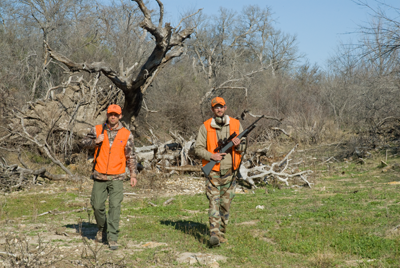 Stalking refers to following a fresh trail left by an animal or getting closer to the game. Stalking takes concentration. Sound, scent and sun all come into play. If it is very dry, vibrations from your steps will carry and vegetation can be crunchy underfoot. When the wind blows you can move, when it stops, so must you. Sometimes closing a long distance can raise your heartbeat and breathing. Once in position you may have to resort to controlled breathing to settle down and relax so you will be steady for the shot. Posting is a method of remaining at one location for an extended period where you think there is a good possibility of seeing game. This could be along a game trail, at a water or food source. 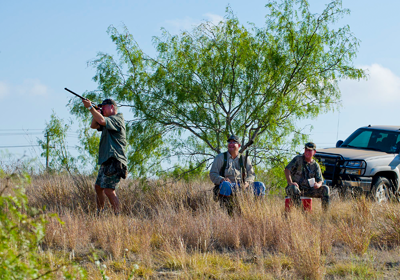 Posting is very common in dove hunting where hunters set up along flight paths for passing shots. 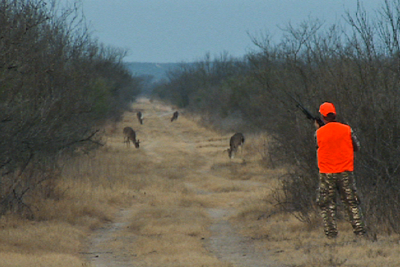 Care must be taken to allow a safe distance between hunters and never shoot toward other hunters.